A brand new feature of Pokémon Omega Ruby & Alpha Sapphire is the ability to fly freely in the skies about Hoenn. Once you obtain the Eon Flute item, given to you by Steven after you have captured or defeated Primal Groudon/Kyogre, you can call upon Latios/Latias and they will Mega Evolve and take you up into the sky. 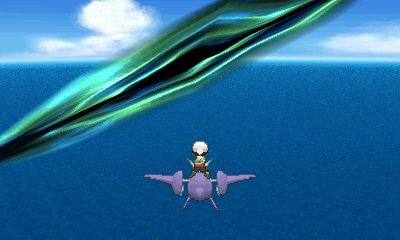 This allows for quick transport across all of the Hoenn region as well as access to other areas. Flying of the Pokémon is all under your control, with the ability to speed up, slow down and even do tricks in the air using the shoulder buttons. You can also land at any time above a route, island or town that you have already been to. When you get to the island, you will find one or two items, with some rare items such as the Deep Sea Tooth being hidden with the Dowsing Machine. 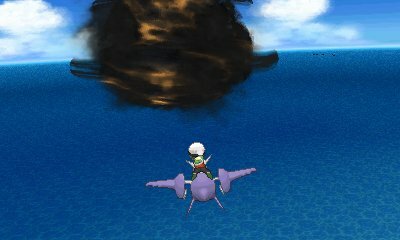 Some islands also house TMs for you to find. In addition to that, many of them hold a variety of wild Pokémon, most of which are not readily available in the Hoenn region making them the only place you can get them. 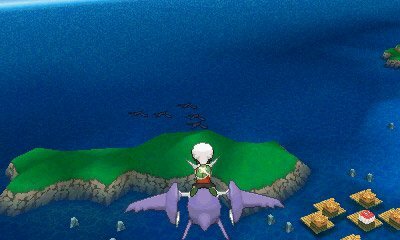 Another aspect of this that these islands use the StreetPass feature. 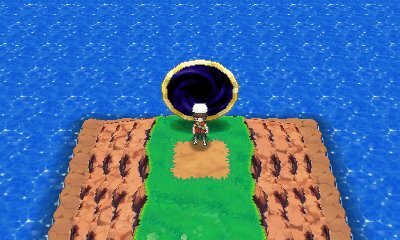 If you have seen the island for the day and you then StreetPass another player, that player will then be able to see and land on that particular island and you will be able to see and land on the one they have, in addition to the one you have as standard. This also works through going online. Any players you Pass By will pass their Mirage Islands to you. Among the various places you can visit while Soaring, you will be able to find Mirage Spots. 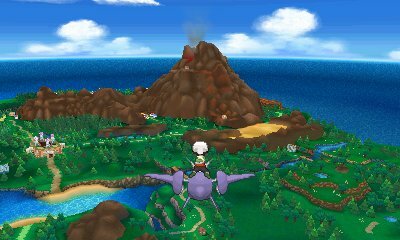 These spots are special areas in the sky or on islands inaccessible without flying, and only when you have achieved certain requirements, which will give you access to a variety of Legendary Pokémon. These Pokémon can only be obtained through these methods in this generation. 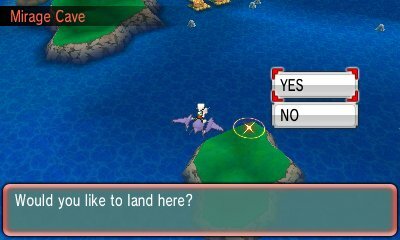 Many of the Pokémon have certain requirements to unlock while some islands will appear randomly. Mesprit can be found between 04:00 and 19:59.